Earth is like an incubation chamber. Earth is where we live and move and have our being. It’s where we are born, grow, experience, make mistakes, learn from our mistakes, create, and ultimately and hopefully, come face to face with love and joy. Living on planet Earth isn’t always easy, but this ground we walk on, this living entity we call our home, is filled with every resource and life-giving support we could ask for. Earth, like a mother, is a vehicle for life yet she also sustains and supports as on our journeys through life. Like human mothers, Mother Earth, feeds us corporeally. She abundantly produces all the high spectrum nourishment we could possibly need to live well, just as mother sustains the embryo and then fetus in the womb. Mother Earth keeps us warm, offering crops, flora and elements from which to make clothing and shelter. She provides fire and radiates to us the heat she absorbs daily from the sun. Similar to the amniotic fluid of a mother’s womb, Mother Earth gives us water, minerals and salts to sustain life. These salts mixed with fresh water can serve to flush and detoxify our bodies helping to keep us healthy and vibrant. In ancient Greek mythology the philosophers and poets wrote about Gaia, also known as the Earth Goddess, and they recognized the enormous vital importance of thalassa, the sea, and the source of all life in their writings. Mother Earth lays before us all of nature as one giant chamber of serenity into which we can retreat for solitude and quiet in the same way the babe inside the mother’s womb lives in buoyant quietude. When we feel one with nature, we feel safe and protected just as mother and child are one and the soon to be born infant feels safe and protected. The Earth Mother shares her unseen vital energy and vibratory frequency with us for our sustenance and healing. It is impregnated into every flower, plant and sentient being on the planet. There is nothing on planet earth that is not imbued with this energy and vibration. Even the inanimate rock is made of atoms alive with revolving electrons and vibration. And the human mother does the same. Throughout the time of pregnancy, she freely and joyfully surrounds her unborn child with her vital energy and vibratory frequency. And ultimately, Mother Earth is giver of love. We can feel this love if we pause and tune in, if we walk more slowly barefoot on the ground or stop to truly feel the breeze blow across our faces. Love is the essence of all life and synonymous with Mother. And similarly, without the human mother even breathing a word to her child inside the womb, the tiny fetus knows it is loved by its mother. A mother is magnanimous, and when we stop and think about it, the Earth is magnanimous too. She never abandons us. Even when subjected to violence and abuse, Mother Earth continues to revolve, give and sustain life while she explores ways to renew herself and waits for all of us children to assist her merely by respecting her sacred existence. In devotion, human mothers love their children even when they’ve done things we might think would warrant abandonment. Indigenous people around the world still live according to codes that honor and respect the Earth Mother and its laws, the foundation of which affirms that the source of all life is the earth and mother of all creation. They consciously choose to live in harmony with flora and fauna, the stars, the climate and Earth’s sacred geography. Indigenous peoples easily know what it takes many of us more effort to know. They know that the Earth Mother is the core of the Universe and our culture and the source of our identity as a race. During this period between energetic seasons, the time of the Earth element and the days approaching Mother’s Day, why not intend to expand our view and understanding of the season and be very thoughtful in our giving to both the mothers we know and love and our Earth Mother as well? Kemf, Elizabeth, and Edmund Hillary. Indigenous Peoples and Protected Areas: The Law of Mother Earth. London: Earthscan, 1993. Print. I die and put my bones in the cave or the Earth. Soon, my bones will become the Earth. Then will my spirit return to my land, my Mother. The heart is the quintessential symbol of Valentine’s Day and green is the color associated with the energetic season of Spring (Wood energy) according to traditional Chinese medicine (TCM). How apropos that now that we’ve entered the energetic Spring season (until April 17), we revel in the celebratory day of love, Valentine’s Day, since the color characteristic of the heart chakra, is green. Coincidence? Maybe. And if so, such a nice coincidence should not go ignored! Each season in Chinese medicine is associated with mental/emotional attributes aligned with the energy of that season’s internal organs. In Spring, the organs are the liver and gall bladder. The negative emotions associated with liver and gall bladder are anger, belligerence, frustration, resentment and irritability and most notably, anger. This is not the emotion we think of when Valentine’s Day comes to mind! The inverse positive emotions associated with the liver and gall bladder in Spring are such emotions as benevolence, compassion, acceptance, patience and honesty. How wonderful it might be for us to be proactively aware that we might become prone to anger at this time of Spring and so flip the coin to become more in alignment with the sweetness and love and compassion of Valentine’s Day! 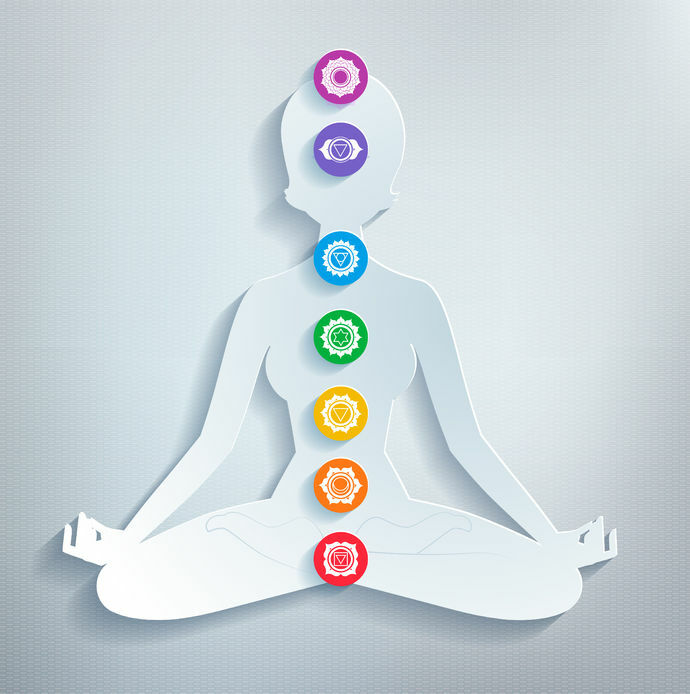 First, is to be aware of our heart energetic center, the fourth chakra, in the lower part of the chest. It is where a wheel of green spinning energy perpetually whirls. Green is the color of unconditional love and is a bridge, so to speak, between the warm (yang) colors of the three lower chakras and the cool (yin) colors of the three upper chakras. Emotionally, the heart chakra truly involves compassion for oneself and others, a positive self-image as in love for self and a sense of connectedness with all of life. Energetic Spring, the time of new life, rebirth and growth is the most perfect time for us to focus on being truly honest with ourselves and how we can facilitate our own personal growth. True personal growth flourishes when we have compassion for ourselves and the mistakes we have made. In compassion for self, we forgive ourselves for our mistakes. It is an act of self-love, a pre-requisite for being loving toward others. When we intend to live in alignment with the five elements of TCM, in Spring we will want to focus on bringing green flowers into our homes and centering our diet on lots of fresh green vegetables and fruits, sprouts and micro greens. The green we bring into our bodies for Spring will heal or uplift the heart and the heart chakra such as iron- and vitamin-rich leafy greens which promote circulation vital to the heart. Green rose flower essence, for example, can be used around the heart chakra which is a receptor that brings in energy from the Earth and which has been impregnated with the light of the sun. We also recommend the green Wood Phyt’Ether from PHYTO5. What could be more loving a service we can give to ourselves this Spring and this Valentine’s Day than to forgive and be compassionate with ourselves and our loved ones, and enjoy the green of the season? For PHYTO5 tips on how to balance your chakras, please go to our blog post of Sept. 27, 2016 here. "Since the heart chakra is the center of intuitive consciousness, it is from the heart chakra that the inner meanings of things can be grasped." – Sherwood, Keith. Chakra Healing and Karmic Awareness. St. Paul, MN: Llewellyn Publications, 2005. Print. Take advantage of Summer's energies and get yourself so firmly rooted in all this positive that you easily carry the feel-good benefits into Fall! Here are 15 spectacular benefits of having fun at any time of year, but if ever there's a time to have fun, it's Summer! Mental, even physical youth is fostered. Relationships are strengthened when having fun with others. It builds connections and solidifies social bonds. Emotional wounds may be healed. Sleep patterns become more regulated (because serotonin in the brain increases). Your body temperature becomes more balanced (again because of increased serotonin levels). Coping skills seem to be magically more available to you. Overall positive feelings become the norm. You become more productive in your life. You become transformed at a cellular level.